Some extraordinarily good things happen on airplanes. Originally trained as a nurse, Gursharan (Sharan) Kaur Sidhu took action when a fellow passenger was in distress. Sharan, Kimberly-Clark Professional Business Capability Manager for Malaysia and Indonesia, was traveling from Jakarta, Indonesia to Kuala Lumpur after a distributor conference. Sharan realized there was a problem early in the flight. Another passenger was not feeling well; when she talked to him, all symptoms indicated that low blood sugar had caused the issue. A can of soda seemed to remedy the situation. As the plane approached landing, though, the situation turned much worse. The passenger this time lost consciousness and collapsed. The flight crew paged a doctor. When no one came forward, Sharan jumped into action. "He did not have a pulse and he was not breathing, and the crew was unsure what to do next," Sharan says. "I have medical training and was completely focused on restoring these vital functions. With little room to work in the tight space of an airplane, I worked to resuscitate him in his seat." Sharan was successful. Her training as a nurse and her dedication to helping others saved the man's life. "Adrenaline rushed through my body as I pictured this man's family and the horror of finding out that he had trouble on this plane," Sharan said. "I needed to do everything I could to help him. When he started breathing again, I felt so weak yet relieved. My heart was filled with joy." Sharan earned her degree in nursing and for 10 years worked in hospitals in Malaysia, specializing in cardiac care. In the cardiac intensive care unit she managed a team of nurses. Her passion for helping people took her into the commercial world of medicine with pharmaceutical and medical devices companies, where she worked before joining KCP last year. Sharan did not hesitate when she realized help was needed. 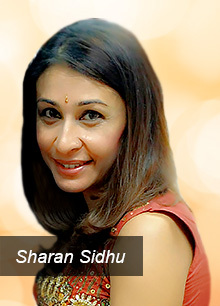 "In my religion, Sikhism, we live by core values," says Sharan. "We value all living things, and we are ready and willing to protect and serve all the people of the world. As a nurse, I took an oath to help others. I take that oath seriously, even if I am not currently employed as a nurse." Sharan appreciates working for a company and business unit whose strong values mirror her own. "Our caring value, and truly respecting each other and caring for the communities where we live and work, makes this an amazing company," Sharan says. "I am proud to be part of this family, and to make a difference in the lives of other people. Throughout K-C, values matter."